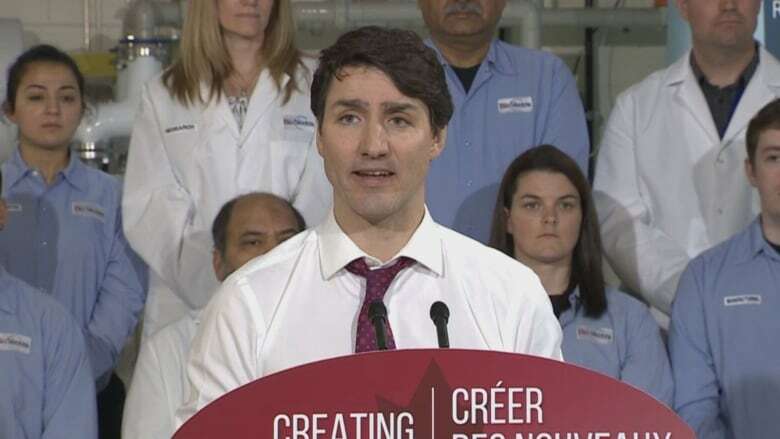 Prime Minister Justin Trudeau visited the Charlottetown biotechnology company BioVectra Monday morning, and announced an investment that will support 150 new jobs in the Maritimes. The federal government is providing $37.5 million through its Strategic Innovation Fund. Of that, $15 million is a grant and $22.5 million is a conditionally repayable loan, according to BioVectra president Oliver Technow. It is part of a $144.6 million, five-year project to expand the company's facilities in Charlottetown and Windsor, N.S. 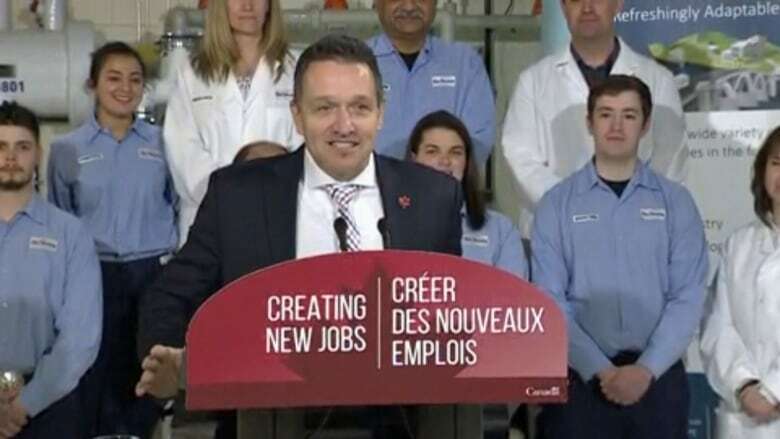 Over the course of the expansion, the company expects to create 110 jobs in Windsor and 40 in Charlottetown. BioVectra manufactures pharmaceutical products used in the treatment of cancer, kidney disease, cardiovascular disease and multiple sclerosis. The project will support active pharmaceutical ingredient production in Charlottetown, and expand the biologics capabilities in Windsor. At the news conference, Technow said adding mammalian cell culture capability to the Windsor plant will make BioVectra a powerhouse in the international biologics space. "Don't underestimate us only because we are not located in one of the major population centres of the country. I would not want to be located anywhere else," said Technow. "What has been built here with tremendous vision and commitment and pride over the last 40 plus years has put us in a position here to compete on the highest global level." In his remarks Trudeau echoed that sentiment. "Innovation doesn't just happen in Toronto or Montreal. Ground-breaking discoveries are made from coast to coast to coast," he said. "We're investing so that parents can rest easy about paying their bills and young people don't have to move away to start their career. Our government is committed to building new opportunities for people everywhere, including in rural communities." After his remarks on BioVectra, Trudeau opened up the floor to general questions from the media. He addressed concerns about two Canadians who are being detained in China. He also briefly addressed the question of whether ex-attorney general Jody Wilson-Raybould would be allowed to remain in the Liberal caucus, saying it was still under consideration. 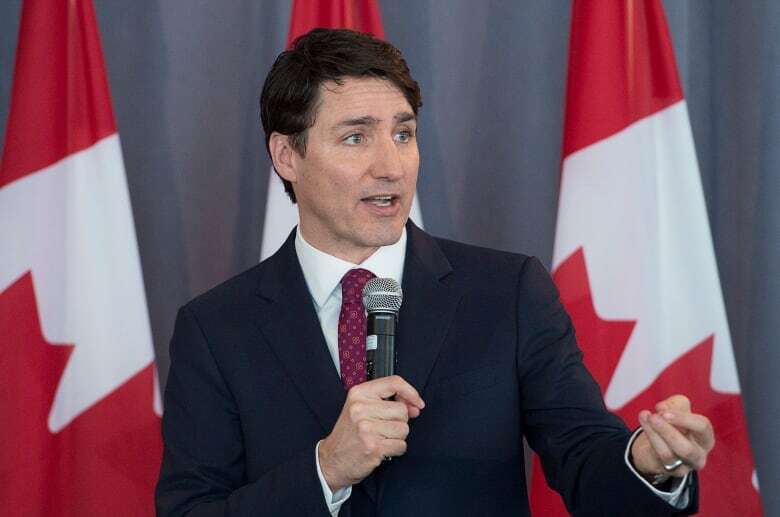 Trudeau's visit comes at a difficult time for his government, with allegations that he and members of his staff acted inappropriately in conversations with Wilson-Raybould about the potential prosecution of SNC-Lavalin. He emphasized the importance of preserving jobs in regards to the SNC-Lavalin affair. Trudeau had several events scheduled in the Charlottetown area Monday morning. His morning started with a Liberal Party fundraising breakfast at the Delta Prince Edward. Speaking at the breakfast, Trudeau outlined what he saw as some of the accomplishments of his government. They included the lowest level of unemployment in decades and a decrease in poverty levels. He noted housing is a massive priority on P.E.I. 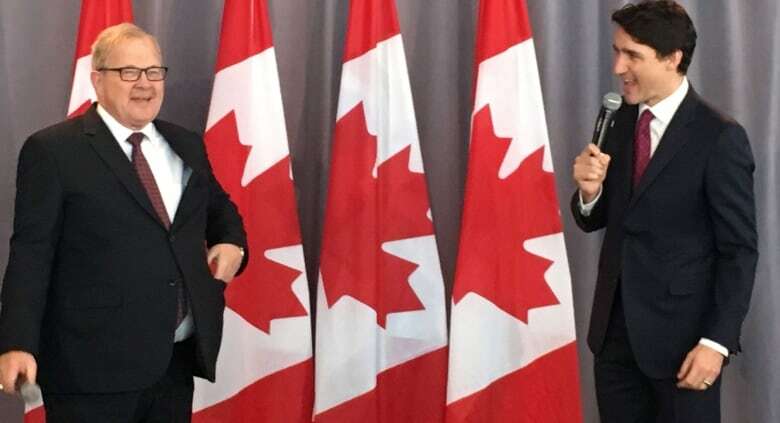 He also outlined the difference between how his party deals with the anxiety Canadians have about the future, and how he believes the Conservative Party will deal with it. "Conservatives are going to keep trying to scare people about the future, and we're going to be showing people how we're going to build a stronger future together," he said. The Liberals will do that through investment in research and skills development, he said. 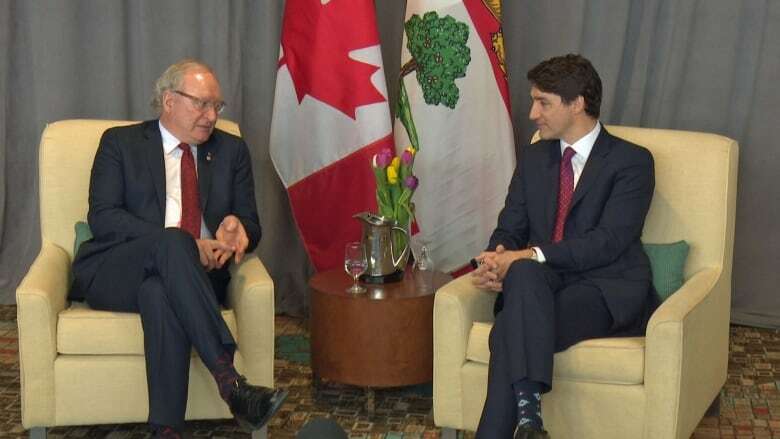 After the breakfast Trudeau met with Premier Wade MacLauchlan and P.E.I. MP Lawrence MacAulay, the new veterans affairs minister. MacAulay and Trudeau went from that meeting to the head office of Veterans Affairs Canada to meet with employees there. A small group of protestors carried signs outside the Delta Prince Edward Monday morning. One sign read "Say no to carbon tax," and another "Stop pipelines." Some of the people told Radio-Canada they are members of the yellow vest movement. Police stepped in to disperse some protestors who blocked the intersection of Queen and Water streets. Why Ducks Unlimited is monitoring rising sea levels on P.E.I.